To be the elite dancesport organisation in Asia, providing world-class infrastructure for dancesports enthusiasts in Singapore. 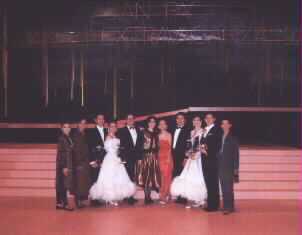 The Amateur Ballroom Dancers' Association (Singapore), ABDA in short, was founded in 1987 following a series of events dating as far back as 1983. It was back then that Singapore's amateur champions Shawn and Gladys Tay started competing in amateur ballroom dancing competitions in Europe. On several occasions, invitations for them to participate in the World Championship were rejected by the then International Council of Amateur Dancers (ICAD) because Singapore was not yet a member of the ICAD. After several years of trying on the part of Shawn, Gladys and several world renowned dance professionals, Singapore's application to join the ICAD was finally approved. In May 1986, Singapore became the first country in South-East Asia to be a member of the ICAD. 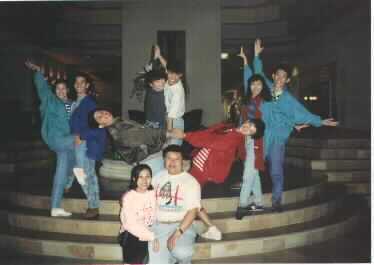 Upon their return, Shawn and Gladys worked hard at forming an amateur dance association in Singapore. With the help of several other amateur dance couples, the ABDA was established and registered with the Registrar of Societies in October 1987. Meanwhile, ballroom dancing was enjoying a revival in Singapore. The formation of ABDA was timely and gave impetus and direction to the flourishing activity. Since the registration of ABDA in October 1987, it has introduced guidelines for amateur status, the chart-rating system to rank couples and the visual marking system in Singapore. Membership of ABDA has grown over the years mainly due to its many diverse activities attracting the dancing public. ABDA members are also given a chance to represent Singapore in overseas championships and meetings. To date, ABDA has sent couples to Australia, Belgium, Canada, China, Chinese Taipei, England, France, Germany, Hong Kong, Indonesia, Italy, Japan, Korea, Latvia, Malaysia, New Zealand, Norway, Philippines, Scotland, Slovakia, Slovenia, Spain, Sweden, Switzerland and Thailand to compete. In November 1990, the ICAD changed its name to the International Dance Sport Federation (IDSF) and amateur competitive ballroom dancing was renamed dancesport. Subsequently, the Association also changed its name to The Amateur Dance Sport Association (Singapore), ADSA in short. In 1992, the IDSF granted ADSA the rights to host the 1992 World Amateur Standard Dancesport Championship in Singapore, making it the first country in Asia to be given this honour. 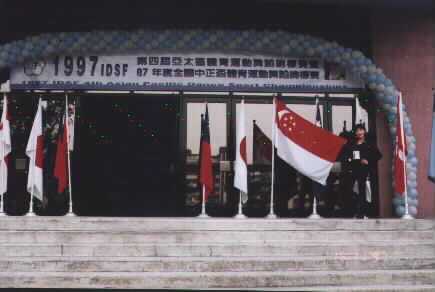 The IDSF also held its Annual General Meeting in Singapore that year. 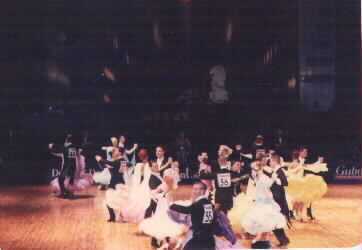 Then in 1995, ADSA won the rights to organise the 2nd IDSF Asia Pacific Dancesport Championships. Following the IDSF's provisional recognition by the International Olympic Committee (IOC) in April 1995, the Singapore National Olympic Council (SNOC) accepted ADSA as an Associate Member on 1 April 1996. 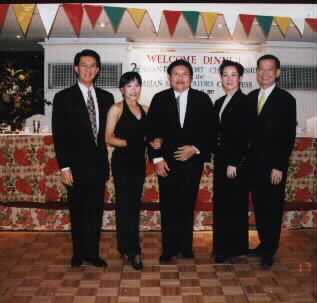 Then in 1997 when the IOC granted full recognition to the IDSF, the Singapore Sports Council (SSC) recognised ADSA as the national sports association governing dancesport in Singapore. In its effort to promote dancesport in Singapore, ADSA will be embarking on a programme to reach out to schools, colleges and other educational institutions to encourage students and young people to take up this healthy sport. The ADSA will also work together with the Photographic Society of Singapore (PSS) to promote and improve the standard of dancesport photography in Singapore. With the implementation of these plans, ADSA aims to turn Singapore into the No. 1 Dancesport Centre in this region. The year 2000 saw the ADSA organising their very first Singapore Open, where world ranking points were awarded to competitors. In 2002, the ADSA was renamed as the Singapore DanceSport Federation (SGDF), keeping in line with the other world bodies as a Federation. The SGDF also began accepting club memberships into it's organisation. 2003 saw the IDSF re-affirming their support of the SGDF when they awarded Singapore the rights to co-host the 2003 IDSF World Youth Latin, 2003 Grand Slam Series (International Open Latin) and 2003 International Open Standard. It was the first time that the World Youth Latin Championships were being held outside Europe for the first time in 50 years. This event was a major milestone for the SGDF - a Training Scholarship was launched for the representatives of the World Youth Event. In 2005, Singapore became the first country in the world to host both a continental championship (2005 IDSF Asian Pacific Championships) and a Grand Slam Finals (2005 IDSF Grand Slam Finals). The year also saw several of our athletes participating in the prestigious 2005 Asian Indoor Games (Thailand) and the 23rd South-East Asian (SEA) Games (Philippines). In June 2011, the International DanceSport Federation (IDSF) changed its name to the World DanceSport Federation (WDSF), in line with other world sporting bodies.